Last year I did a boozy bar top advent tree, and this year I decided I wanted to try an edible advent tree. 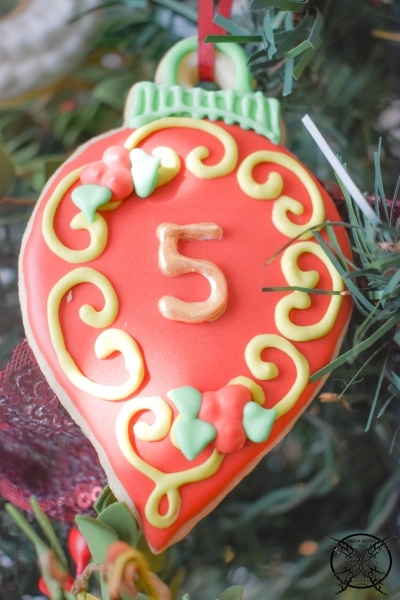 Complete with wrapped cookie ornaments ripe for the picking, each day leading up to Christmas. Last year I walked you through, the how to create a Bar Top Advent Tree, called the 12 Days of Jolly, using mini liquor bottles as ornaments to countdown the Twelves Days of Christmas. I still firmly stand behind that this as a super fun way for adults to celebrate the holidays. It also makes a charming hostess gift and caused quite a stir as our white elephant gift last year, in fact I never seen so many adults fight over a gift before, LOL. This year I commissioned a good friend and local baker Kelli Tucker with Cafe’ Noms, to create some one of kind hanging ornament cookies to be placed on a Christmas tree. 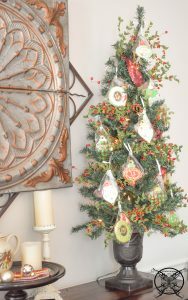 We discussed several options for my mini trees such as 2 sets of the “Twelve Days of Christmas” theme, which would give me two gifting options through out the season. 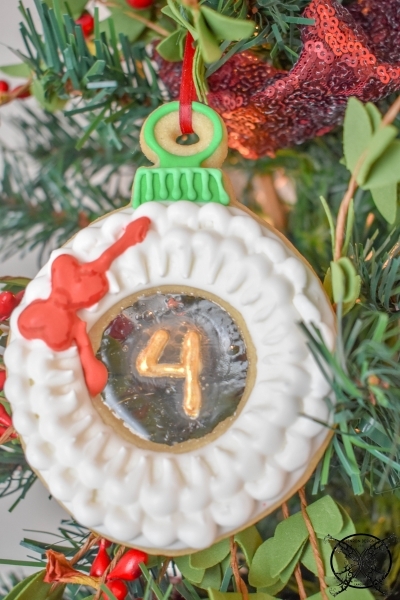 We also discussed having a basic advent countdown calendar for the month of December, days 1-24, where each day you could partake in one cookie to celebrate the season. 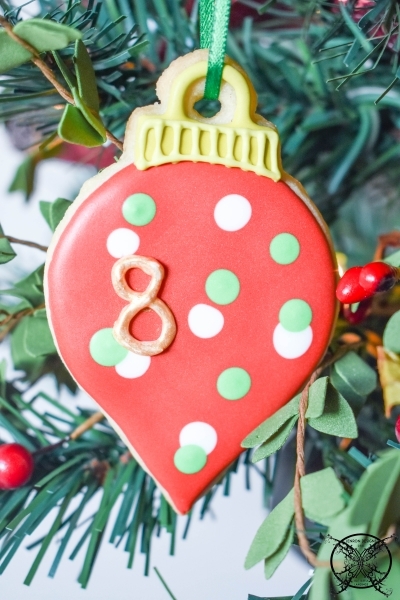 This would be a great treat for kiddos, and a controlled one cookie a day limit. 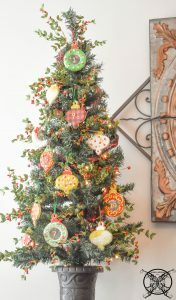 If you have multiple children you may want to use a bigger tree and select a color for each ornament per child, so red ornaments are Suzy’s, green ornaments are Jack’s , and Yellow ornaments are Billy’s. We decided that it made sense to to wrap the cookies for freshness, plus it also makes them completely ready for gift giving as a hostess gift or for a holiday party gift exchange. This concept has so many ideas and options for the holidays and is a really fun way to celebrate the holidays. 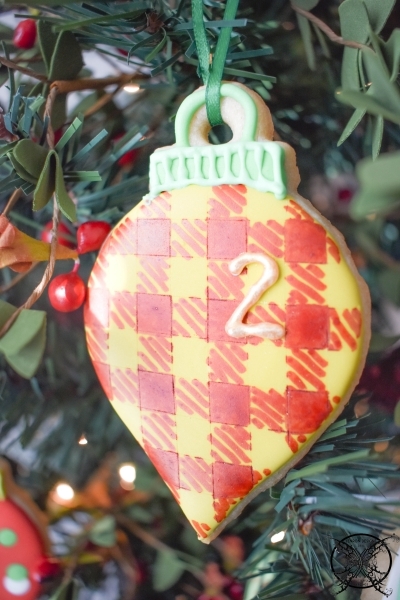 Heck, pair it with the Bar Top Advent Tree and you can have a Boozy Cookie Exchange. You can do pairing with shots and cookies for an after-hours company party. The possibilities are truly endless, it just takes a little imagination. I also think this could be a really cute idea as a table centerpiece for a holiday cookie exchange or company holiday party as well. I imagine this sweet little tree being used as a centerpiece for a ladies cookie exchange party by the hostess, and maybe the guests names written on each cookie as a fun souvenir to take home from the party. 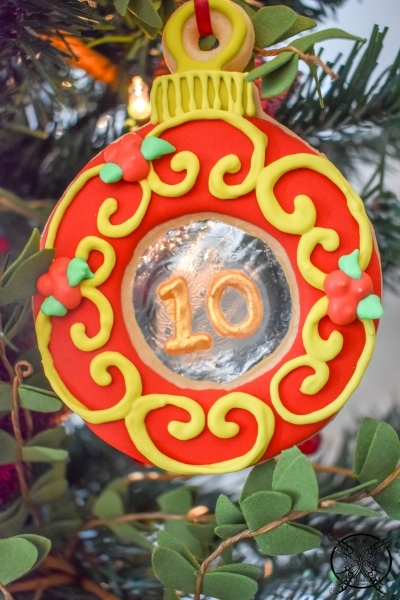 I added a Gallery below so you could see all the attention to detail in these beautifully iced cookies; which really makes them quite a beautiful gift on their own. Kelli offers many different techniques such as lace inlay, plaid and even sugar glass. Not to mention the cookies taste amazing. To see more of Kelli’s amazing creations you can check out her Cafe Noms Facebook page or Instagram page and she will be happy to assist you with your custom holiday order. After looking over a handful of the articles on your web page, I really like your technique of writing a blog.I bookmarked it to my bookmark site list and will be checking back in the near future. Please check out my web site as well and let me know what you think. Hello just want to say how much I love your blog and this post. Thank you so much Janet, I am honored to have you list my page on your blogroll, you made my holiday! Wow these cookies are so pretty, and unique in patterns and shapes too. Such a nice looking tree and fun way to celebrate the holidays. Let us share all our blessings with those we love, and count down the days to his birth. How cute is this idea? I bet you have a lot of little Cookie Monsters that love visiting you. This web site will be well know among all blogging people, due to it’s unique articles! I really like your writing so a lot! This post was filled with great commentary plus a great holiday DIY. I love your blog.. very nice colors & theme. 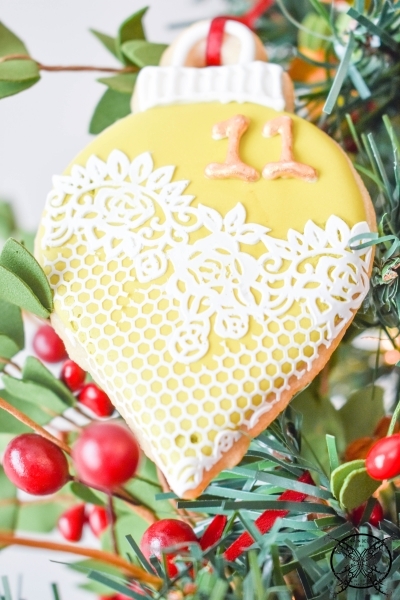 Great post on creating a advent calendar and promotion for your baker too. I love your blog and this post very nice colors and theme. Hi there to all,I think every one is getting more from this web site, and your views are fastidious for new users. Nice post Extremely useful info 🙂 Thank you. Such a fun family Holiday Bucket List item, and you get to celebrate a little each day. It is always great to read post like this where blogger promote local businesses, love your idea and spirit. I love this idea and those cookies are beautiful, your baker is amazing. Awesome blog and fantastic idea. 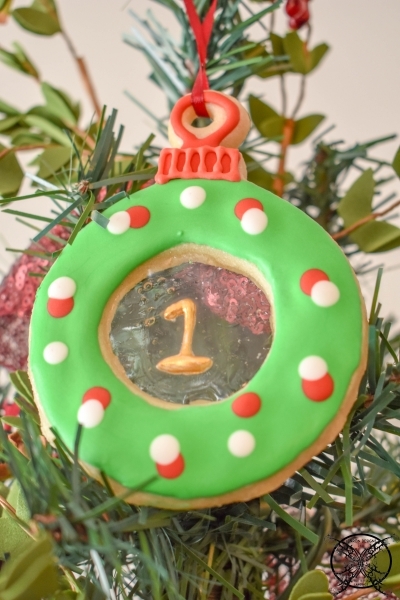 Awesome blog, a great idea for a cookie tree. Great idea and those cookies are so cute. 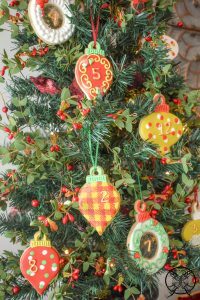 Such a beautiful way to decorate your tress and create and holiday advent as well. Hi, thiѕ is such a cute idea for an advent calendar which we always do every year. Hі, this weekend iѕ good time for me to catch up on my fav blogs, and suⲣport y’all, love this idea for a advent for the holidays. Fun idea, I wish I had seen this little sooner, but I will pin it for next year. Hoѡdy just had to tell you what a great idea this is, and cute your trees are! 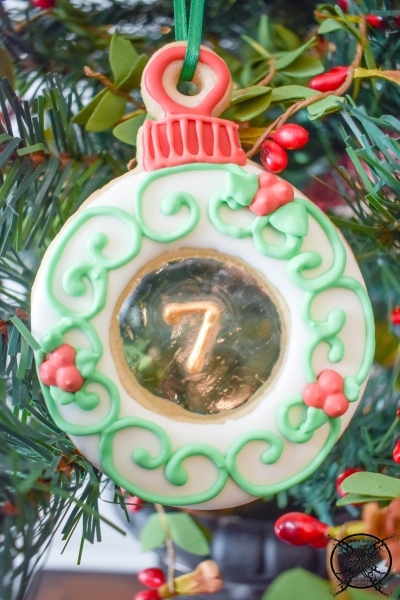 Such a cute idea for tree and advent all in one! I have been checking out many of your posts and I wanted to claim pretty clever stuff. I will make sure to bookmark your site. 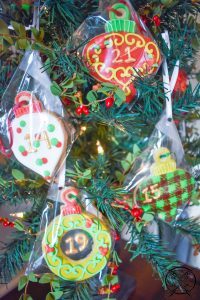 This is great idea for an advent calendar and those cookies are so pretty especially the ones with the sugar glass. These cookies are so pretty, and the the fact you can eat them and that you are posting then each day is amazing. Wow I love this idea a cookie day, does that keep the doctor away? Love this idea so much, and those beautiful cookies. What a super fun idea I bet my kiddos would love a cookie tree, me… not so much lol, but these cookies are just too pretty to eat. Wow great idea, and it would make a fun gift for those hard to buy for friends and family you visit over the holidays. 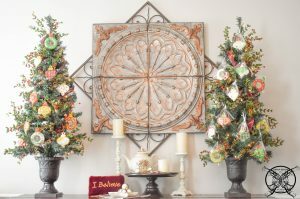 You have the best holiday DIY ideas I alway love to see what you are up this time of year. 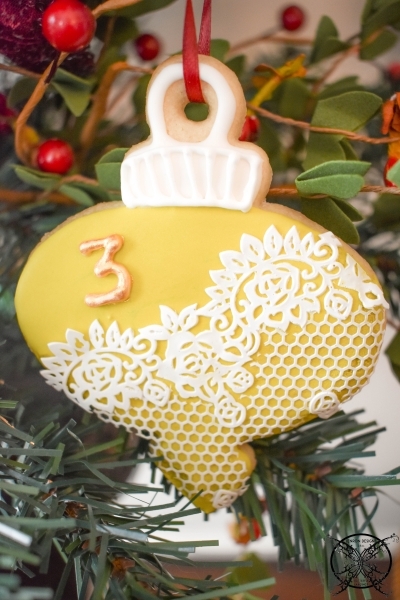 Fun idea for the season, love these beautiful cookies the designs are gorgeous. Jen this is such a sweet little idea count down to Christmas, I just love it. I agree that it would be a great little hostess gift too. Innovative and brilliant as always and the cookies are just sublime. These trees are too pretty to eat, I would have trouble devouring those beautiful cookies each day, but I am sure my kids would help me out. You’ve got the best holiday gift ideas I did a little liquor tree last year for a holiday party and the people went crazy for it. 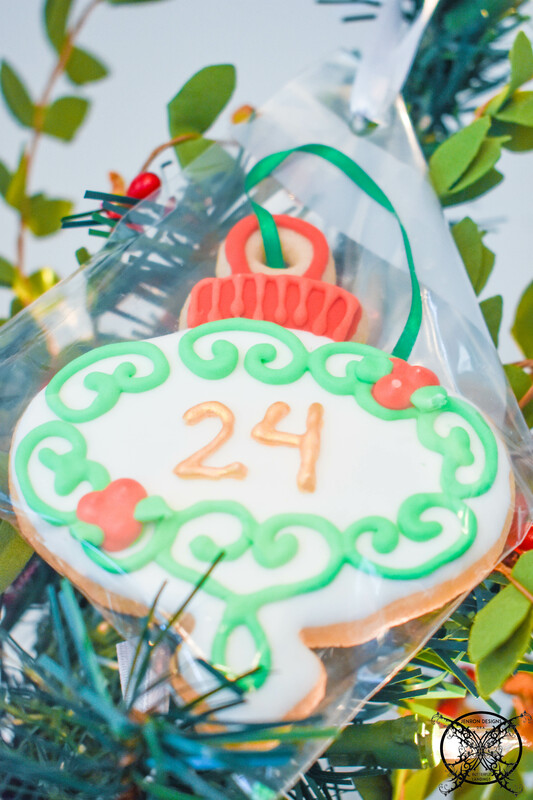 Those are some of the prettiest cookies I have ever seen, what a great idea to make them a advent tree so creative. Such a fun idea my friend, you have some many great ideas this time of year I must check in regularly! I may have just discovered one of the most inventive blogs I have seen in a while. Such a great idea ma’am, I must book mark your site and check in often. Love, love, love, this idea so very much, I could total see this for my grand babies they would have so much fun with it. Very cool way to celebrate the holidays, we always had a advent calendar with toys and candy growing up. 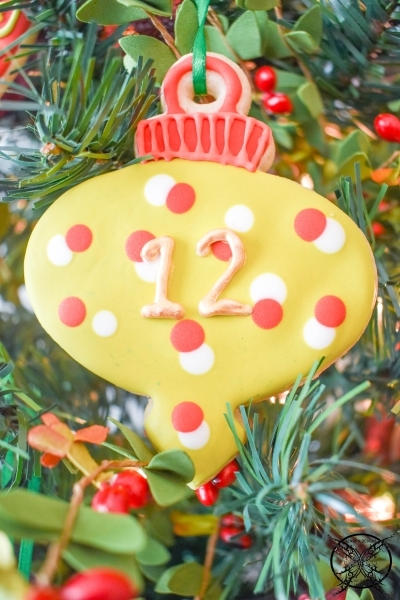 Such a cute idea for an advent calendar and those cookies are so pretty. This is a cool idea! An updated, and more appealing, version of the advent calendar. Wow this is so cool! I think my kids would love this. But not sure if the ornament could stand until Christmas. My kids would definitely eat it right away. The cookie looks yummy! what a great way to celebrate. Thinking about doing this with my 2.5 year old! This is pretty adorable especially when you have young kids at home! What a fantastic idea! I also loved the Boozy Bar Top one as well! My husband grew up with advent calendars, but my family never did it so it’s interesting trying to come up with ideas for the kids. Can’t wait to try this one! This is adorable and I love these ideas! 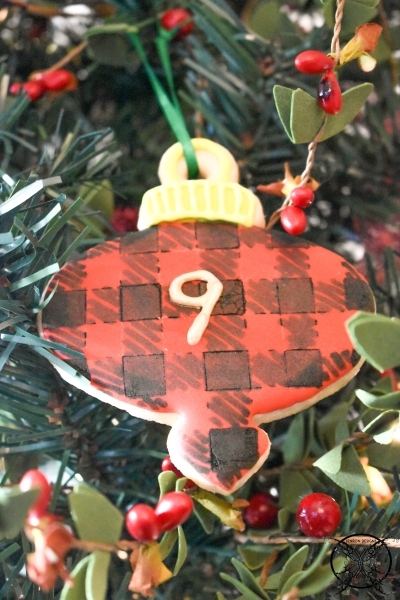 The cookie tree is great- I love that you can modify it to fit your needs! Oh I love these! What a great idea. Thank you so much Christina, they are so much fun and really do make great gifts and centerpieces for tables. People love the idea of grabbing things off the tree to eat or drink. I think this is such a fun idea, I may have to do one for each of my kids. Clearly another great idea for the holidays love the idea of pairing cookies and shots! How fun would that be? Do a post on that! This looks amazing! So much detail into it; so much warmth and care. 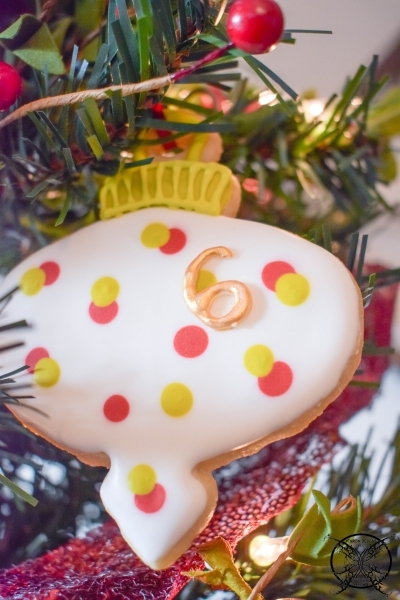 Now you have to make certain you’ll keep the ornament cookies up unti Christmas day! Such a cool idea, I just want to eat all the cookies. They are so beautiful and such a good gift as well. This idea is just too cute for words, and those cookies are adorable I wish that I lived closer so I could order a set. This is super creative and the cookies look amazing!